With this set of High Quality HD Videos, You'll learn the skills you need to create a beautiful Young Fairy! Featuring 4 hours of Professional, Detailed Instructions! Filled with nearly FOUR HOURS of in depth video instruction. This course will give you instant access to the video files you can download or watch online. 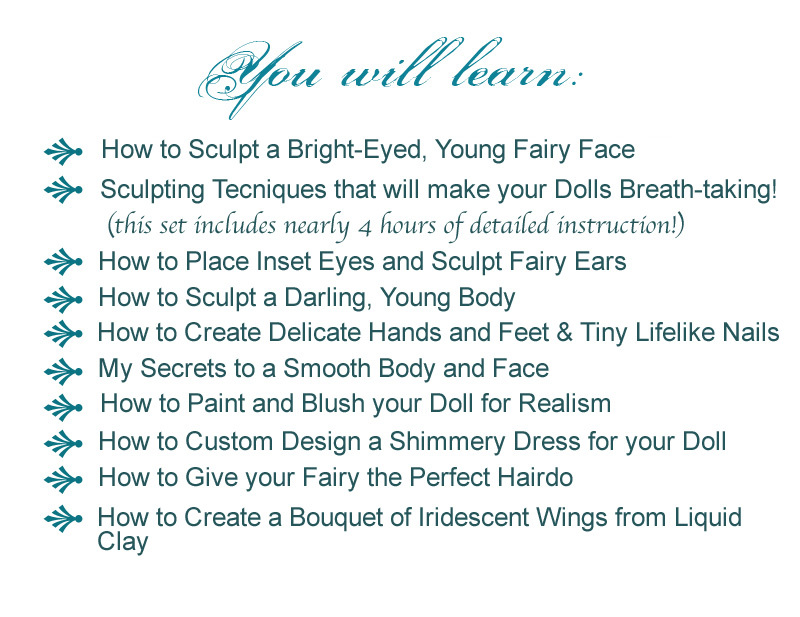 This set includes special tips so you can show off your sculpting skills as they come along, and focus on basic skills in the meantime.